One of the great parts of my job is I’ve now had an opportunity to work with the same players during the off-season for years. A few years ago, I started doing more “performance” testing as part of our intake, as well as the end of the Summer. This not only allows me to better quantify/monitor off-season progress, but it also provides some useful information on how well the players are maintaining their progress throughout the season. I’ve always felt that in-season training is essential to long-term progress. If done properly, an in-season training program will help you stay healthy throughout the year, serving to help maximize your on-ice skill development by keeping you on the ice! For younger and/or under-trained players, in-season training can also help push your physical development to allow you to transfer improved mobility, speed, strength, and conditioning to on-ice skills. In short, it can make you a better player. At an absolute minimum, in-season training should help you prevent sliding backward so far that you completely negate all of your off-season training. Unfortunately, this is exactly what happens to most players when they don’t train in-season. Even worse, the progressive loss of speed, power and strength specifically tends to result in the player being in their worst physical condition right as the season comes to a close. In other words, when you’d want your physical development to be at its best (e.g. playoffs), it’s at its worst. 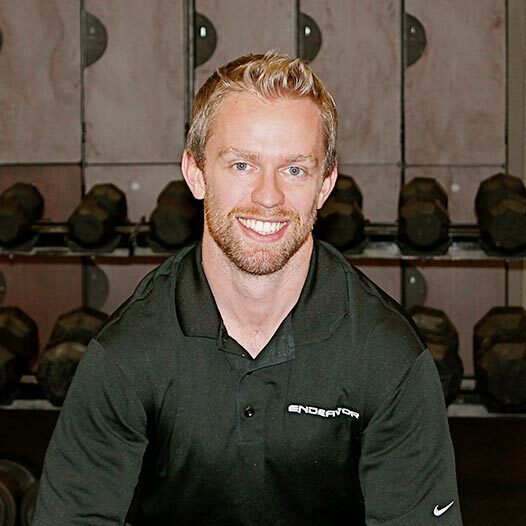 Last year I started as the Strength and Conditioning Coach and Manual Therapist for the Philadelphia Flyers Junior Team, which was the first opportunity I’ve had to train a junior team, a population typically under-served, throughout the entire season. As part of my work with the team, we did pre-season and mid-season testing/monitoring, along with pre-off-season testing for the players that stuck around to train with me over the Summer. This data provides an interesting “case study” to highlight what a quality in-season training program can offer you. In short, he was an absolute animal when he left. This player also wasn’t even able to do the reverse lunge test during his intake because his legs locked up on him after doing the vertical jump test. They seized after 3 jumps! Arguably the most pathetic thing I’ve ever seen. If I had to guess, this player did less than nothing all year. If he went into the gym at all, it was probably to chase girls in between sets of benching. Player 2 is exceptionally well-developed physically and had fairly comparable numbers to Player 1 at the ’13 Post Off-Season Testing period. He also makes a fair example because the better developed kids are more likely to maintain or slightly decrease their physical developing in-season. In contrast, I have data from a lot of junior players who actually increased their vertical jump in-season. Player 1 lost 3″ off his vertical, had a 50-yard shuttle average time 1.1 seconds (13%) slower, and his sprint decrement dropped by 8%. Player 2 lost 1″ off his vertical, had a 50-yard shuttle average time 0.5 seconds (6%) slower, and his sprint decrement dropped 2.6%. The real problem with this scenario is that all of Player 1’s losses are reasonable expectations for improvements during an off-season. In other words, if he worked really hard, he’d get back to where he ended the previous Summer. I refer to this as the Yo-Yo effect. Train -> Detrain -> Train -> Detrain. Overtime, there’s no actual progress made. In contrast, had he better maintained his development in-season, as Player 2 did, he could build on his progress the following Summer to continue pushing his development. The reality is that most players at the youth and junior levels simply don’t have the necessary resources to have a quality in-season training program (As a side note, this is also one of the major arguments for why some players benefit more from college than playing major juniors: more favorable practice:game ratio and a consistent year-round training program). 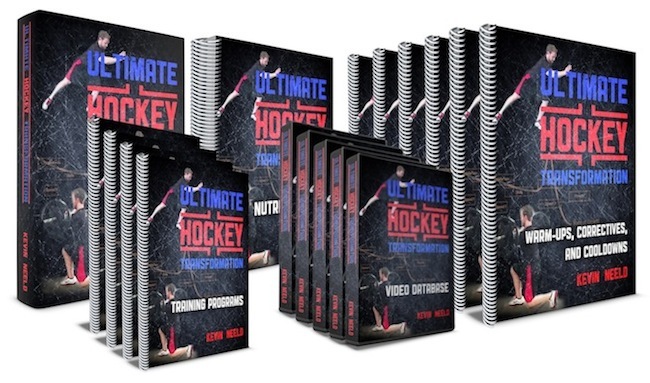 This is exactly why I included in-season training programs for players at the U-14 through Junior levels in my new product Ultimate Hockey Transformation. A quality in-season program sets you up for continuous success throughout the season, and gives you an advantage over your competition every year. You can get faster, more powerful, stronger, and better conditioned EVERY year, while your competition continues to spin their tires. Click the image below to find out how!